Overseas Divison was opened at Osaka. 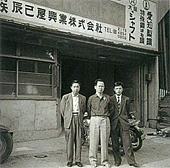 Tatsumi Shoji Co.,Ltd was founded. 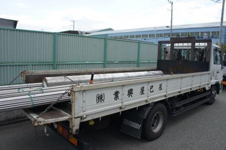 Tatsumi Butsuryu Co.,Ltd(Transport compnay) was founded. 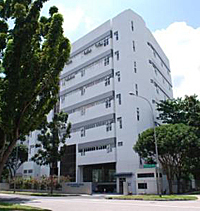 TMY Singapore Ltd was founded. Auto Accessories Division was started. 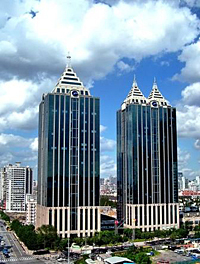 Shangai TMY Ltd　was founded. TMY 65th campaign and party was held. hot forging item in Indonesia. Overseas Divison relocated to the center of Osaka. T&A Corporation was opened at Dubai. New building of Head Quarter and Nagoya Branch was constructed. New building of Shizuoka branch was constructed. 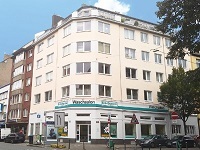 TMY EUROPE GMBH was founded. TMY EURASIA LLC was established. 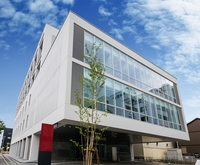 New building of Sendai branch was constructed. 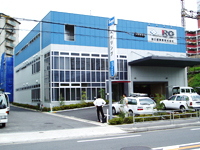 There are 24 branches in Japan, and distribute parts to the domestic markets. Each brances have various items and enough stock, and meet the cusomer's demand. They have Private Sports Brand "RG" and "SR", and participate various motor events. 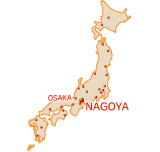 There are 5 branches in Japan and also Indonesia(Joint Venture). 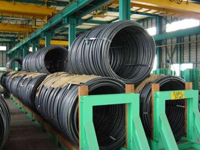 They Provide Special Steel to the various types of industry, Automotive, IT and Energy industry etc.. 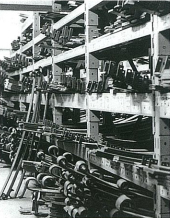 They also export to the countries where special steel is needed. There are 5 branches in Japan and 1 office in Shanghai. The Toyota Branch has ISO14001. 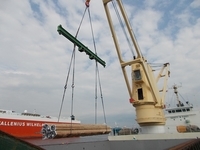 They cement the relationship with major manufactureres by providing deliveries for machine tools and components. 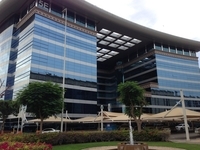 5EB-G36, DUBAI AIRPORT FREE ZONE, P.O.BOX 371099, DUBAI, U.A.E.